Josh excels at explaining the different ways to pass property from one generation to the next. He can help with the creation of Wills, Trusts, Powers of Attorney, as well as Payable on Death Accounts. 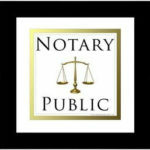 Divorce papers, child custody paperwork, adoption paperwork, prenuptial agreements, visitation agreements, living trusts, last will and testament, power of attorney, estates, restraining orders, alimony agreements, paternity requests, etc. Deeds, title transfer, rental agreements, eviction notices, complaints, etc. Articles of organization, operation agreements, contracts, employment contracts, non-compete clauses, new business set-up (LLCs, partnerships, etc. ), business plans, company policies & procedures, employee manuals, etc.